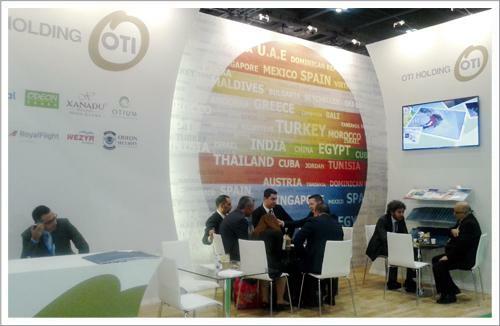 ODEON Tours Destinations Management Center (DMC) has participated, for the fifth time in this year, in World Travel Market – WTM – London fair which is one of the most significant tourism fairs and was held between 3 and 6 November 2014 in London, the capital of England. 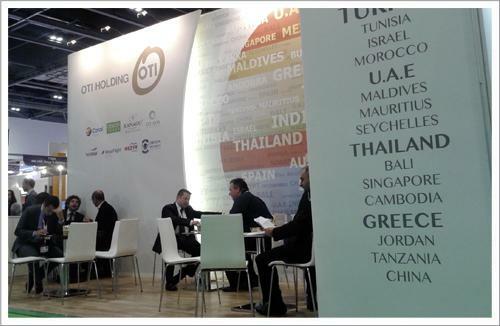 The fair, which OTI HOLDING attended in the Global Village section with a stand of 24 m², was also attended by OTI Holding Board of Directors Chairman Ayhan Bektas, Board of Directors member Ahmet Bektas and Quality and Human Resources Coordinator Erden Karakus. Additionally, many hoteliers and business partners visited the stand in the fair. During the fair, many meetings and seminars were organized under the name of e-tourism dynamics, international hotel investments, UNWTO&WTM Minister`s Summit program and the World Tourism Awards were given on the premiere night.